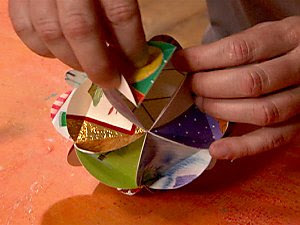 Re-craft the stacks of holiday cards from years past.... and make.....ORNAMENTS! 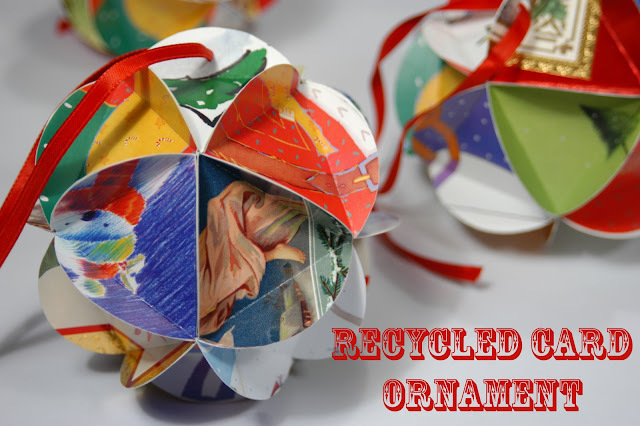 They are simple to make and after you make just one ornament you will have the hang of it! 1. Use the 2-1/2" punch (or trace a 2-1/2" glass base) to punch 20 circles from assorted cards. 2. Using a ruler and pencil, draw a triangle measuring 2-1/8" on all sides on a scrap of cardboard; cut out the triangle to use as a template. 3. Trace the triangle onto the back of each greeting card circle and score each circle along the triangle lines using a bone folder or ruler. 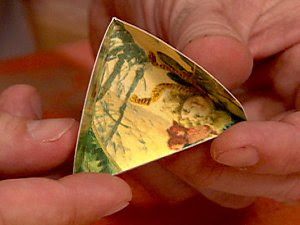 The circle should fold so the printed sides of each circle are on the interior of a small triangle-bowl shape. 4. 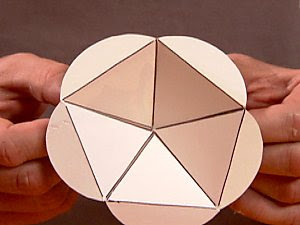 Using five of the scored circles, glue stick the flap of one circle to the flap of another, continuing with all five circles to form a star shape. Clamp together with binder clips and let dry for 15 minutes. 5. Working with 10 more greeting card circles for the middle layer, glue the flaps to the bottom layer flaps, clamp and let dry. 6. 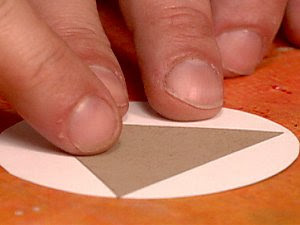 Use the last five greeting card circles to form a top layer. Glue, clamp and dry. 7. Punch one extended flap with the hole punch, thread a length of decorative ribbon and hang. Ooh! I remember doing this in like 5th grade for an art project. It was really cute and the family still hangs it on the tree! This is a cute idea. 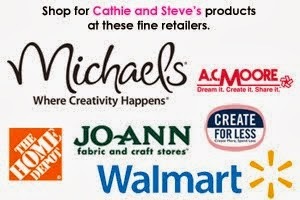 I wish we could get the DIY channel! You can bet I will be making some of these.. what a wonderful tutorial!! I never found the perfect thing to do with old card.. and this looks like it might be it. Love these! I remember making these in Girl Scouts many years ago. Thanks for the memory--and the great tutorial--and I must give them a try! Happy holidays to you! I feel like giving this tutorial out with every card I send, and to every person who sends me one!! What a lovely way top re-use something that would otherwise be "single use". THank you! I did this in elementary school and my dad had them hanging from his office ceiling for years. Will have to do this this holiday season! I remember seeing you both on creative juice and I recorded it, my husband erased it. I am glad to see it again. We need to get theshow back on as a regular craft show daily on DIY and HDTV. I made ornaments for people using the Christmas cards THEY personally sent me through the years! Talk about re-cycling! Back to the original owner! And for those who I didn't have enough cards from (like my nieces), I used cards that had their wedding or favorite colors. In a couple of cases, I used blank cardstock in the appropriate color, then punched a contrasting snowflake and glued it on the blank cell. This would be for up to 5 of the cells. Another idea I used is to put the recipient's picture as one of the cells! One other idea: carefully put a tiny bit of glue along all the edges - then sprinkle with glitter. I do about 5 edges at a time. Makes it very sparklie! This is after it is all put together/ I also put a bell attached to a thin cord under the first "layer" of cells before I close it up. This makes for a very nice hanger. My favorite is gold for the cording and glitter, but you can use whatever color goes with the cards you use. I have also done this. My Mom saved all the Christmas card over the years and when she passed I made these and gave them to whoever sent them to my Mom. I love comments and questions. Sometimes it takes me a few days to reply. Have a wonderful day!